The impermanence of the Internet as a medium is never clearer than when a website gets killed. When a mag gets axed it leaves a legacy of thousands of old copies in cupboards and attics. Euthanizing a website by simply redirecting its URL and turning off the server, on the other hand, instantly removes almost all evidence that it ever existed. Which is why we should spare a moment to remember the most recent victim of the growing trend. Channel 4’s motoring website, 4Car, was switched off on December 31st and now any attempts to view its erstwhile pages redirect to a single blog posting explaining its demise. Yes, times are tough, and 4Car joins a growing list of car website closures. However, although it’s gone with little more than a whimper, 4Car was a big enough player to deserve an obituary. 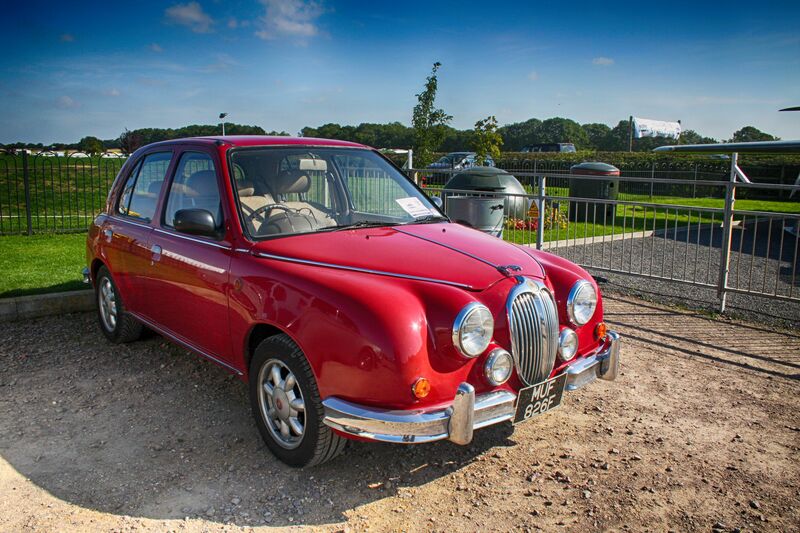 Not only was 4Car one of Britain’s first major motoring websites, it was also – for a time – one of the most successful. It was launched in 2000 to support C4’s then-current ‘Driven’ TV show andwas actually based on an earlier website – autosuggestion.co.uk – which had been founded by respected journo Richard Bremner at the end of 1998. 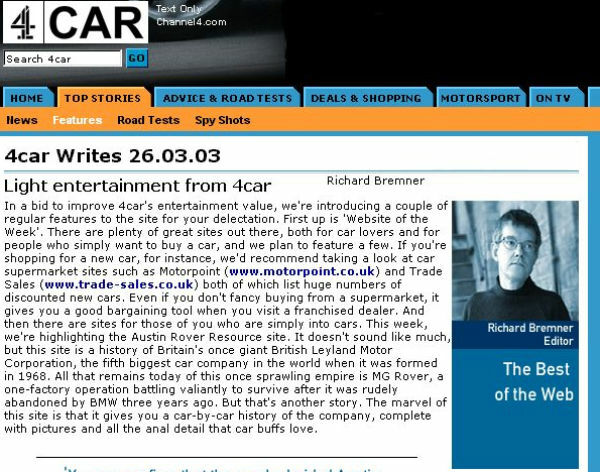 Bremner moved across to 4Car as Editor and, thanks in large part to his editorial vision for the site, it quickly grew. Unfortunately for Richard and the team he’d assembled, it also found itself battling against the first dotcom crash and – unable to make it pay – he was forced to relinquish control to Channel 4. The Driven TV show had been axed, but 4Car’s combination of unpretentious tests and features proved popular and the site’s traffic continued to grow. By 2004 it was pulling in nearly 7 million page views a month, making it one of the UK’s most popular car websites at the time. For a while it enjoyed an editorial budget to rival that of a magazine, employed a substantial staff and lavished welcome largesse among freelance journos. Channel 4, though, never had much understanding of the site nor affection for it and, as the years went by, it was starved of investment and development and so found itself overtaken by slicker, more modern rivals. It’s death comes at the end of a long period of decline and after an earlier attempt at closure failed. 4Car’s end isn’t a surprise, but that doesn’t mean it won’t be missed. Pity, as I found the site to be a useful one. will be sadly missed, it was always the first car site i went on every day and ive been viewing it since it started. but yeah the last 6 months it has been slow on the news front and low on features still I will miss it! Given that 4Car complimented Driven at the time, you can easily see the forerunner for Top Gear and Top Gear magazine – in fact if you looked at Driven format, the last version of Top Gear (without Clarkson) heavily resembled this show. Elements are seen in the new version but the show has got much more better cinematography and it’s now pretty much perceived as a car lifestyle show, rather than just a simple car show. If Channel4 had carried this on and actually given the time and budget it deserved, I dare say that in the online world this site could still have been successful. Top Gear of course (negating the BBC backing), has a very good integrated model and the online, hard copy and TV shows work together quite well. 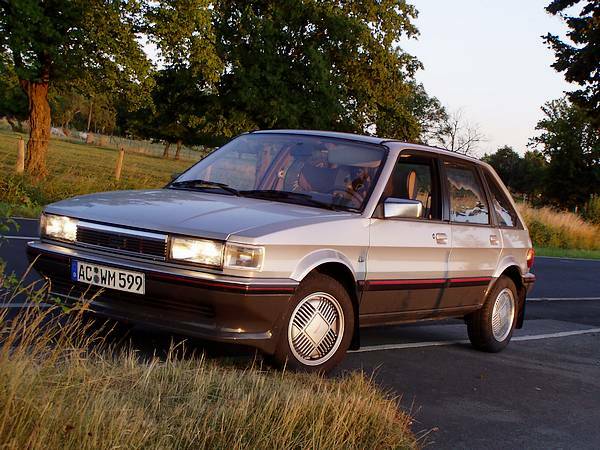 Driven went off the road excuse the pun) in its latter series as it tried to gain a “youf” market – remember Car Sumo? You could see how embarrassed Penny was about presenting such tripe. Channel 4 should have gone back to the old format, leaving 5th Gear to sit between it and Top Gear. 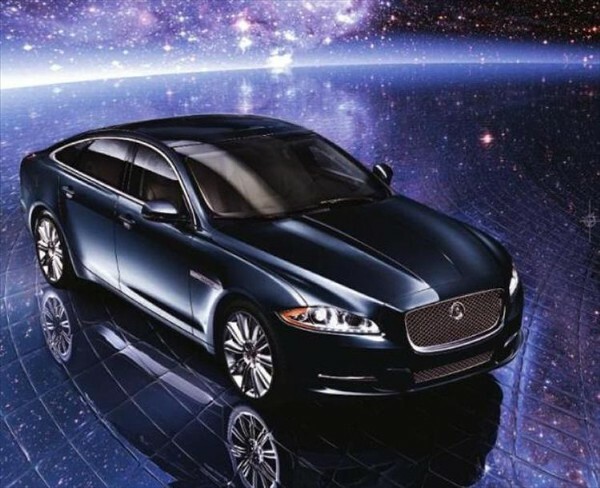 Other motoring shows such as ITV’s Pulling Power and various cable offerings, and websites of some motoring magazines, just don’t cut the mustard when it comes to serious motoring journalism and accurate consumer information. Channel 4 obviously needing the web budget for big brother webfeeds and “location location location location location” overpriced properties websites.